Address: Good Shepherd Major Seminary, Kunnoth, Kiliyanthara, 670 706, Kannur, Kerala. PhD. From Katholieke Universiteit Leuven, Belgium, 2006. Executive editor of the Book Satyathilum Snehathilum (Malayam), 1998. Presented a paper at the Graduate Conference organized at the Higher Institute of Philosophy, Leuven, in 2002 on The Philosophies of Becoming: Whitehead and Aurobindo. Attended Philosophy Conference organized by the University of Cork, Ireland, in 2002 on Philosophy of Prof Dr William Desmond. Presented a paper at the Whitehead Conference at Salzburg, Austria in 2006 on the theme: Metaphysics of Becoming: A Meeting point between the East and West. Edited the book Probhodhakante Vazhiyilude (Malayalam), 2007. Attended ACPI Annual Conference held at Vadavathoor Seminary from Oct 10-13, 2007. Presented a Paper at the National Symposium on Natural Moral Law organized by Dharmaram Vidhyakshetram, Bangalore (Dec. 3-6 2007) on the Relevance of Personalism in Bio-medical Ethics. 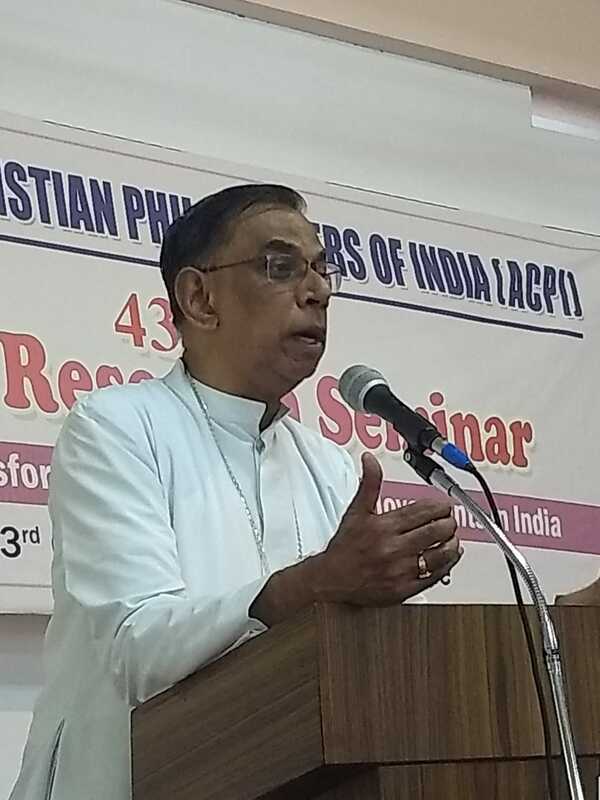 Attended ACPI Annual Conference held at Dindigal Capuchin Renewal Centre. Presented a paper at the International Whitehead Conference at Bangalore in 2009 January on the Religious Significance of Whitehead’s God. 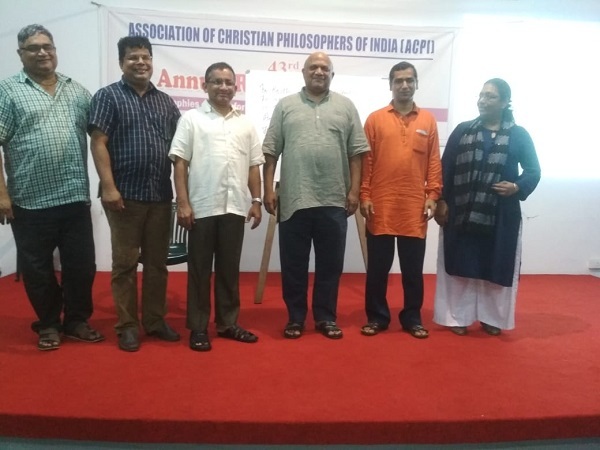 Paper presented in the 35th Annual Conference of the Association of Christian Philosophers of India held at Delhi, Carmel Vidya Nikethan, Faridabad, October 23-27, 2010. Theme: Philosophy of History: A Philosophical Reflection. Presented paper in the National Seminar organized by Indira Gandhi National Open University (IGNOU) at Delhi in October 2010. Theme: Purpose of Philosophy: Career Orientation Vs Character Building. Paper Presented in the International Conference on: Mysticism Without Bounds organized by Christ University and Dharmaram Vidhya Kshetram, January 5-8, 2011. Theme: Human reason is only a mediator not an Angel: On the Necessity of the Dialectical Intellect Transcending to the Mystical. Article in Journal of Dharma from DVK Bangalore on: In Search of a Soul: Religion and National Integration, Vol. 33, 3 (July-September 2008), 283-302. Article in Malabar Theological Review from GSMS, Kunnoth on: The Religious Significance of Whitehead’s God. Vol 3, no.1 2008, 103-122. 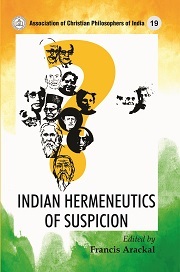 Article in Tattva- Journal of Philosophy from Christ University Bangalore on: Whitehead and Aurobindo on the Question of Evil, Vol 2, no 2 (July-December 2010). Article in The Living Word- Journal of Philosophy and Theology from Pontifical Institute, Aluva on: Modern Trends in Philosophy: Separation of Philosophy and Religion in the West, Vol. 116 no 2, March-April 2010, 100-121. Article in Mathavum Chinthayum from Pontifical Institute Aluva on Faith-Reason Relationship in Medieval Period (Malayalam) in July-August 2011, Vol. 92, no 4, 30-46.